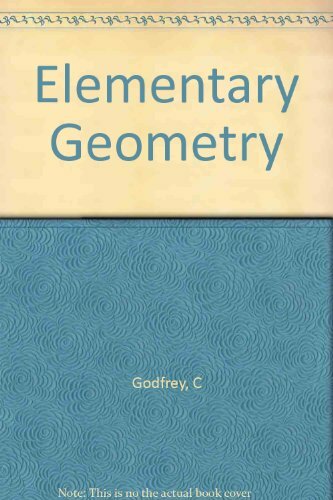 The aim of the authors of the present work has been to produce a book which will help to make Greometry an attractive subject to the average British boy or girl. The book opens with a course of experimental work; great pains have been taken to make the exercises perfectly explicit and free from ambiguity. by Clement V. Durell - G. Bell And Sons Limited.